Tanzania Minister of Energy and Minerals, Sospeter Muhongo, recently concluded a visit to Finland where the two countries formed an economic partnership in renewable energy with a focus on addressing the Tanzania electricity shortages through sea wave energy and other forms of renewable energy including mining and postgraduate training opportunities for Tanzanian students. 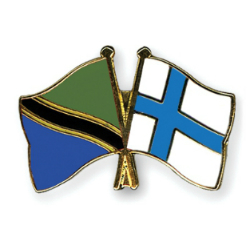 According to a statement released by the Finnish government, during the official visit, Minister Muhongo discussed the development of the Tanzania energy and mining sector as well as the sustainable use of the country’s natural resources and commercial and investment opportunities in both countries. This year, Finland has provided Tanzania with EUR 29 million in funds to support development projects including a reinforced electricity network in Dar es Salaam. According to the Finnish government, the success of these and other development projects not only offer numerous investment opportunities to Finnish companies, but also support the success of the Tanzania Development Vision 2025.